One of my goals for this year was to improve my building/woodworking skills. I recently purchased a jig saw and let me tell you, I’m loving this thing! If you’re unfamiliar with jig saws, they’re a handheld, electric tool that lets you cut shapes (like curves) out of wood. 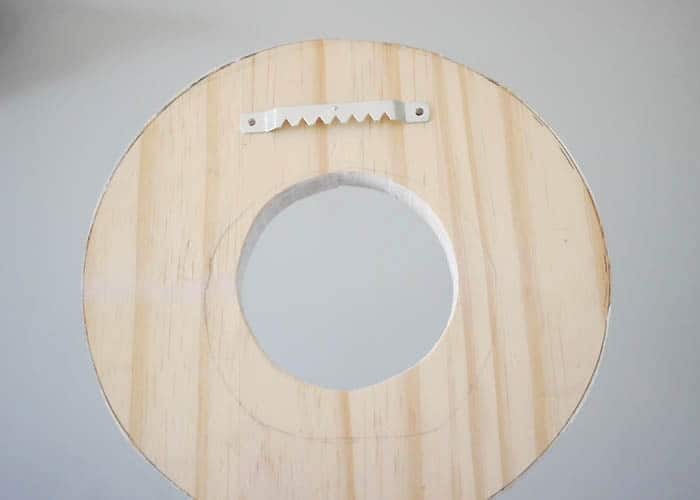 They’re relatively easy to use, especially if you’re cutting out something large with a simple shape. I keep seeing cut-out wall decor in all the home stores. 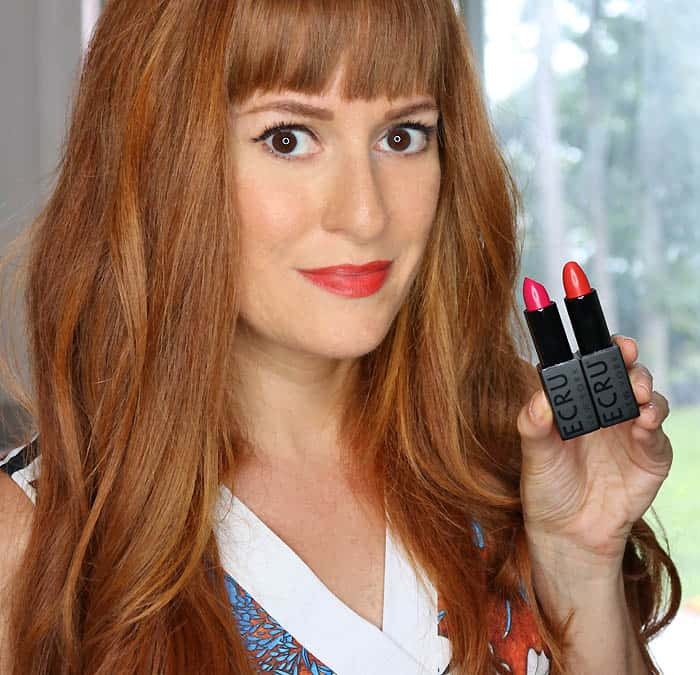 Usually the prices hover around $100 for a basic, painted design. 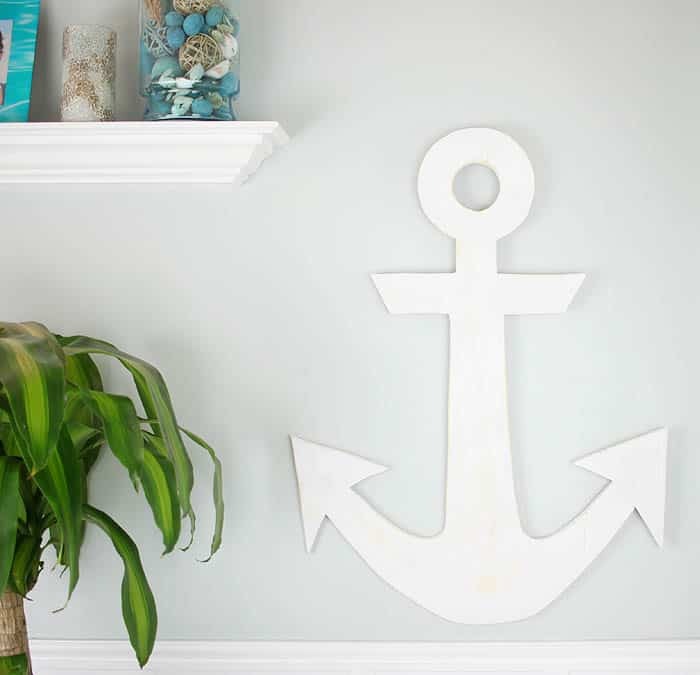 Ever the DIYer, I thought “I can make that!” My latest project is this Coastal Anchor Wall Decor DIY. 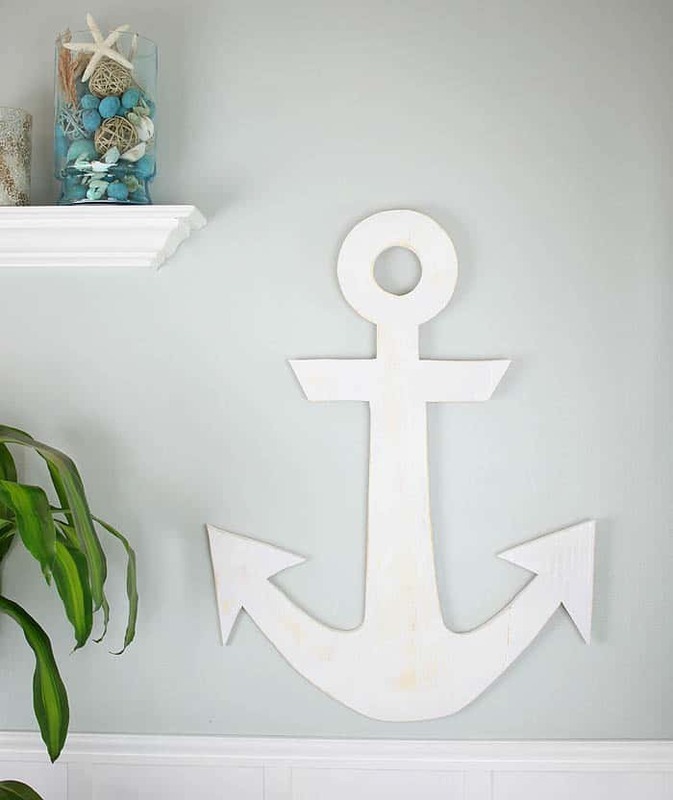 I decided to make a distressed anchor to go with my boho, beach house decor. 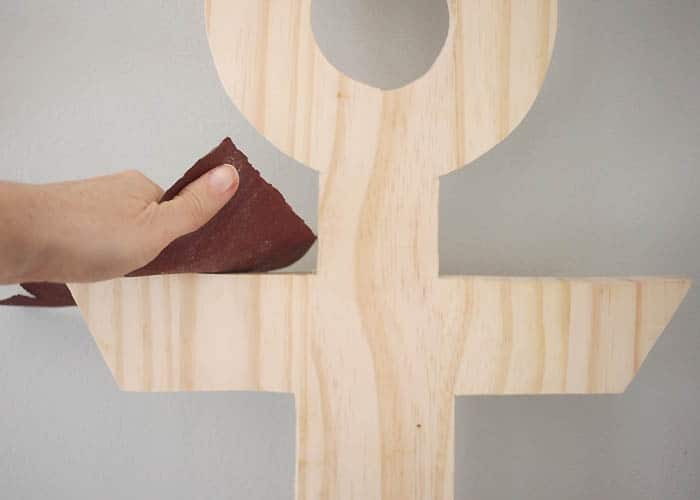 This was a really fun DIY project, and once you get the hang of the jig saw, the possibilities are endless! 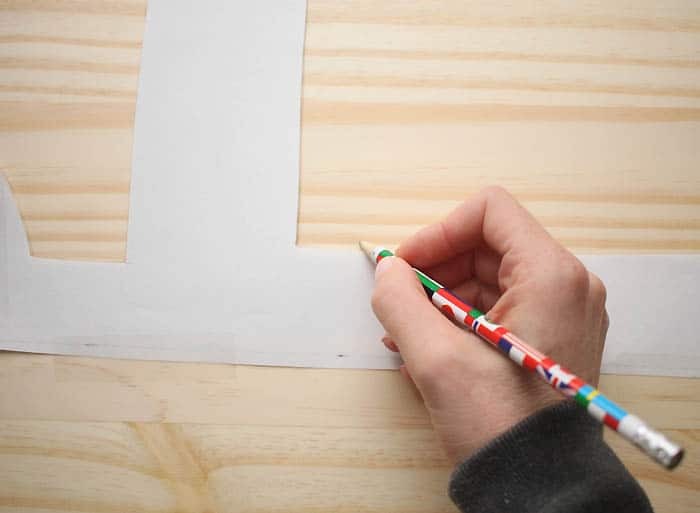 Want more DIY Home Decor projects? 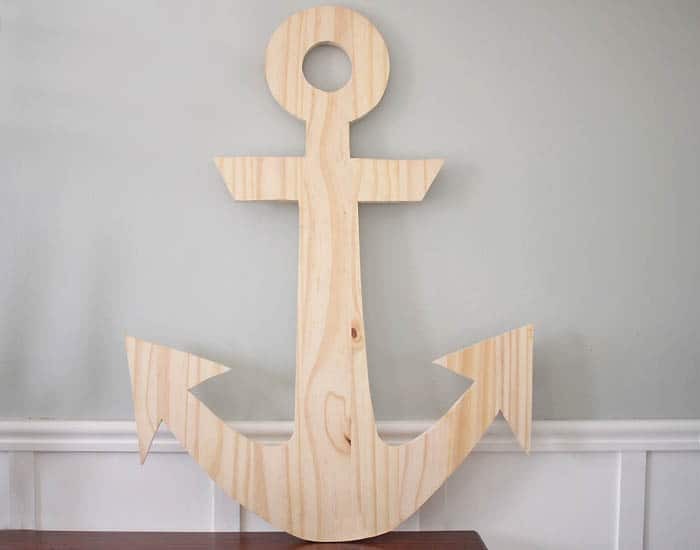 Download the anchor template. You can resize it with photo editing software. I resized mine to 30 inches high. Bring it to Staples and get an engineer print. Engineer prints are very large, inexpensive (only a few dollars) black and white prints. 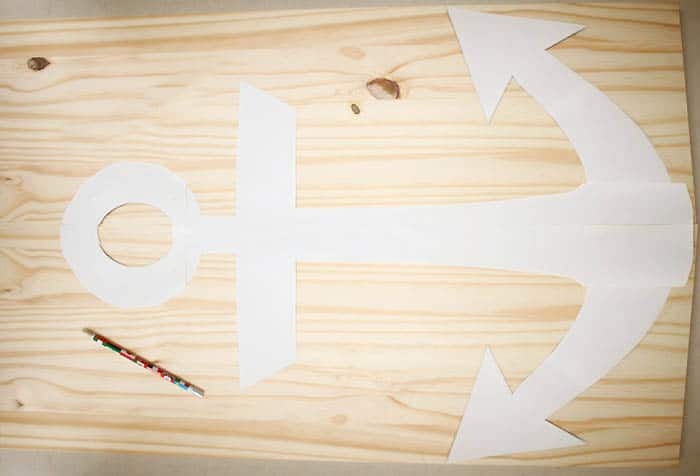 Cut out the anchor and tape it to the wood. Sand the edges and give it a few coats of spray paint. My Patio Makeover with Lowe's!!! Decoupage Flower Pot DIY- Great Mother's Day Gift!